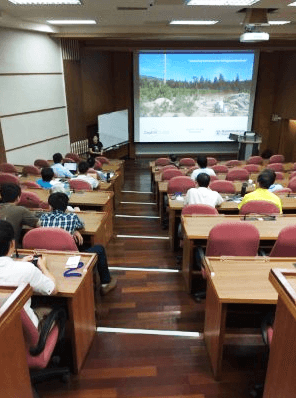 Over the last two days, representatives of more than 100 Taiwanese companies attended a workshop presenting developments in resource assessment using continuous wave lidar. In collaboration with Smartec, ZephIR Lidar’s Senior Sales Manager, Matt Smith, described IEC61400-12 trends and practices, complex terrain assessment and bankable data for offshore wind measurement. Guests included representatives from industry, government and academia, including Taiwan’s biggest power companies, China Steel Corp, China Shipbuilding Corp, Ship and Ocean Industries R&D Centre, NTU, NTOU and NCKU. Since its foundation in 1993, Smartec Scientific Corp has specialised in weather stations, water quality, ocean current measurement and system integration. 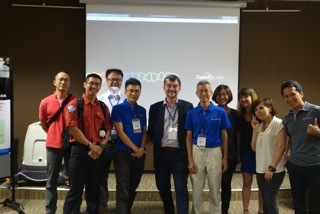 In 2012 Smartec consolidated its reputation in the offshore wind market by joining the Taiwan offshore wind farm pilot project where they integrated two meteorological systems on Taipower and TGC offshore met mast.